New Mexico Certified Chile™ Powders and Pods are an essential ingredient in any Southwestern kitchen. 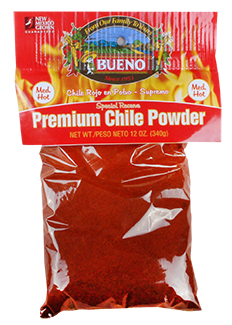 Our pure, premium chile powder is the essence of New Mexico. 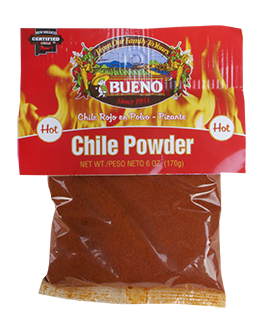 Only the choice pod of the chile is finely ground into a deep, rich powder to be used for the finest sauces for your special dishes. 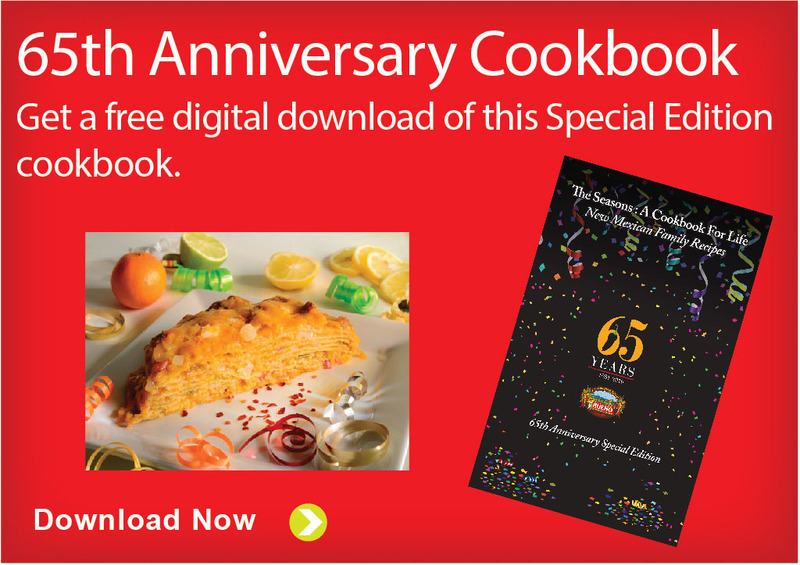 And though we’ve changed the name over the years (formerly Chimayó), it was one of our original products and continues to be one of our best. New Mexico Certified Chile™. New Mexico Certified, our select Powders are finely ground from pods and ready to make your mouth water. Just make a roux, add your favorite spices and water to create a sauce. Hot (3 oz., 6 oz., 12 oz. ), Mild (3 oz., 6 oz. ), Extra Hot (12 oz.). 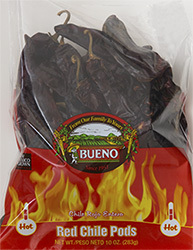 Hand selected for quality, #1 grade chile pods. Hot and Mild are New Mexico Certified. Also available in Extra Hot. 10 oz.